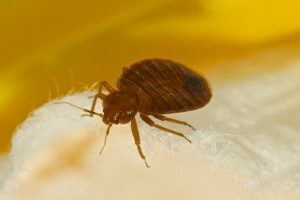 With an increase in bed bug infestations due to the pests mobility and more people traveling in North America, it’s recommended that you do some background checking on your accommodations. Whether your traveling on business or pleasure, keep in mind that bed bugs also travel and may be staying at your hotel or motel. One way to find out about hotels, motels, inns, and resorts is to check the free reports for New Jersey at the Bed Bug Registry. 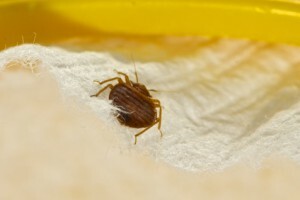 At the registry’s website, read reports from travelers, get bed bug alerts, and read tips. If the opportunity arises, bed bugs will infiltrate luggage, purses, totes, backpacks, and your clothes. They like warm, dark places. Once they make themselves at home in a hotel room, they’ll be looking for a food source, which is you. Be prepared when traveling by protecting your clean and soiled clothes with plastic bags and keep your luggage off the floor. As a precaution, upon returning home, immediately wash all of your clothes or place everything in a hot dryer to kill any potential bed bugs that may have traveled with you. 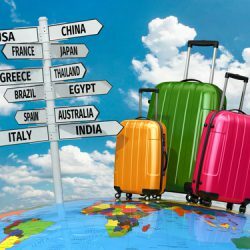 Before going on your next trip, talk to one of our NJ bed bug specialists about bed bug products. For help with bed bugs after returning home, call Stern Environmental Group to schedule an inspection by one of our NJ bed bug specialists.